This blog shows video correspondence courses available from International School of Feng Shui. All courses are interactive and run on Windows-based computers. Mac computers can run the videos and PDF files but losing the interactivity unless installing a Windows emulator software. Courses are taught by Ken Lai. Ken had taught Sociology at the University of Minnesota from 1970's to 1980's. He has been teaching Chinese Metaphysics around the world since 2003. <<===You can use the "BLOG ARCHIVE" list at the left like a menu. Simply click on the course titles to read the descriptions. You may click on the course titles below with links for detailed information. For your convenience, every page has "CLICK HERE TO RETURN TO MAIN MENU" link to return to this page. There is a treasure trove of free stuff at the bottom of this page. NEW! 2019 EDITION OF "PRACTICAL DATE-SELECTIONS"
1. 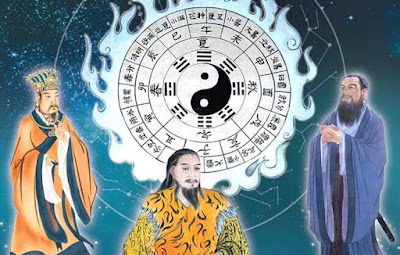 Practical Imperial Qi-Men-Dun-Jia 4G with 12 hours video (US$999) : This course is specifically developed for instant mastery of QMDJ method via video and additional study aids. Student with basic Chinese metaphysics background can learn how to use QMDJ in as little as 5-minutes. Click here for more details. 2. Professional Qi-Men-Dun-Jia 4G with with 21 hours video (US$1999): This is the superset of the Practical IQMDJ. It is the ultimate in QMDJ with rare materials not find in the market. It is designed for professional practitioners and future QMDJ teachers. Click HERE for more details. 3. Easy Qi-Men-Dun-Jia Series Correspondence Course (Now with video) : This series of 3 QMDJ courses provide some basic QMDJ techniques that are easy to learn and apply, such as astrology, date-selection, task selection and Feng Shui. Its content compliments the Imperial QMDJ courses. Click here for more details. 4. EZ Qi-Men-Dun-Jia: Advanced Feng Shui with 4 hours HD video (US$699): This is the enhanced version of EZ QMDJ Feng Shui with detailed and in-depth treatment of 20 functional areas of a house-- a must for people who design houses BEFORE it is built. Click here for more details. 5. Destiny & Luck Management: Forecasting & Decision Support System w/32 hr. HD video (US$1299) : The "Destiny & Luck Methods" enable one to make forecasts of any event and require no birthday info. It can enhance or accelerate the events for positive results or delay, mitigate or neutralize events that may have negative outcomes. Prerequisite: almost none; nice to have knowledge of Yi-Jing or 4P or "stems and branches". Click here for more details. 6. Destiny & Luck Management: Basic Bazi Therapy & Enhancement w/ 18 hours HD video (US$1299): This course using Bazi principles to change people's destiny and luck. Click HERE for more details. 7. Destiny & Luck Management: Advanced Bazi Therapy & Enhancement w/ 18 hours HD video (US$1299): This is a continuation of the Basic course with more flexibity and tools. It goes beyond Bazi remedies and using tools from other areas like Feng Shui. Click HERE for more details. 8. Applied Bazi: Sickness Forecasting and Management w/ 33 hrs. HD video (US$1999). This course is a must for TCM and medical professional to help their diagnoses and for people to do their life/ health insurance planning and disaster prevention and mitigation. Prerequisite: knowledge of calculating the favorable element ("yong-shen, useful god) of a Bazi chart. Click HERE for more details. 9. 4P Forecasting Boot-camp+ 2018 with 18 hours video (US$999): If you can afford only one 4-Pillars seminar, this is it. This course is designed for students who do not want take endless 4P modules, but want to find out whether client’s situation is Feng Shui or destiny-related. New for 2018 edition-- Quick Visual 4P Reading enhanced manual and video. Click here for more details. 10. Advanced Visual Form Feng Shui with 23.5 hour HD video (US$999): This seminar focuses on how forms (both indoor and outdoor) and li qi (formula) work together to bring out positive or negative effects. This is a very VISUAL class. Ken will how off his photos and videos taken around the world to illustrate difficult concepts. There are real cases studies with diagrams to provide easy understanding and application of theories to reality. Bring your luopan or compass if you got one. Click here for more details. 11. Visual Form Feng Shui with 13 hour HD video (US$699): This is a subset of "Advanced Form FS" with Business Form FS and some complicated topics removed. It contains 75% of the advanced version listed in previous paragraph at a substantial saving. Click here for more details. 12. Period 7 & 8 Feng Shui Toolkit w/ Advanced Flying Star Techniques w/6 hrs. HD video (US$699). This seminar provides practitioners with a handy toolkit to capitalize Period 8 Feng Shui upgrade demands and handle the popular P7 & P8 houses in the real estate market. It also enhances students’ Flying Star techniques and accuracy. Click here for more details. 13. Feng Shui Toolbox: Sha-qi, Health, Wealth & Career w/ 7 hrs. HD video (US$699): Avoiding bad things from happening is half of the job of a Feng Shui reading. This seminar shows how to identify both physical and non-physical shas, how to measure it, how to predict misfortune/ fortune based on sha information and how to fix or avoid them. Methods introduced are ancient and proven and can be used to complement Flying Star or other Feng Shui methods. There are a few "grandmaster" level techniques presented in the course that worth 10x more than the price of the courses. Click here for more details. 15. Practical Date-selection Methods Collection w/ 13 hr. video (US$849) : If you can only afford one date-selection course, this is it! The course includes numerous methods for instantly selecting auspicious date and directions, without having to learn complicated methods. It even includes XKDG date-selection (some teachers charges thousands of dollars for this topic alone!). NEW 2019 edition. Click here for more details. no air-plane ticket, hotel and meal costs-- the saving can sometimes pay for the correspondence course! learn the subject faster-- a video course can cover the same amount of materials at 1/3 of the time needed for live seminar due to no interruptions, coffee breaks, distractions and unrelated questions. Ken's Cyber Cave for Ken Lai's new and old articles on Feng Shui, 4P and Chinese Metaphysics-- over 500 articles with useful information and entertaining articles written since year 2000. Many are reposted or even pirated by other websites and blogs around the world. I bought professional qmdj. It is very useful. I have applied in many aspects of my life such as meeting, negotiating and risk taking decision Thanks, ken.